Bluetooth is a dirty word to use around Audiophile’s, it is a technology that really hasn’t offered much in the way of a clean and clear sonic experience in the past. I am hopeful for the future though, not like I am going to be indefinitely skeptical of its potential in the near future, I stand firm where I am now in that Bluetooth in general needs some work to catch up to audio snob level clarity, but is heading in the right direction. 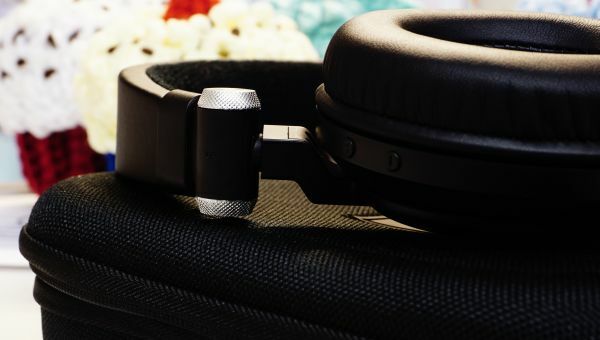 Just this past month, Koss introduced their $199 BT540i circumaural headphone to the market, a headphone branded as a no fuss BT (Bluetooth for short) enabled device that offers crisp sound quality, style and fit. iPhone 5s, Nokia Lumia 900, Astell and Kern AK120 and lastly the AZiO BTD-V201USB dongle. Astell and Kern Red Wine RWAK120B, RSA F35 Lightning, RSA SR71B, Fiio X1, Oppo HA-1. Construction feels a bit flimsy in the framework of the headphone, which is made of plastic and the inner headband adjustment is made of a metal material. The Y-splitter is made of plastic. 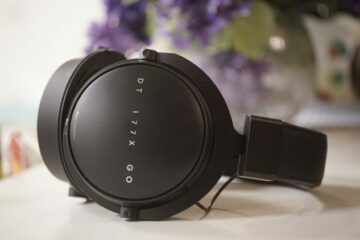 Compared to my Sony XB950BT which arrived for review while in the process of reviewing this Koss BT540i, it is very evident that the Sony headphone has superior build quality all around. 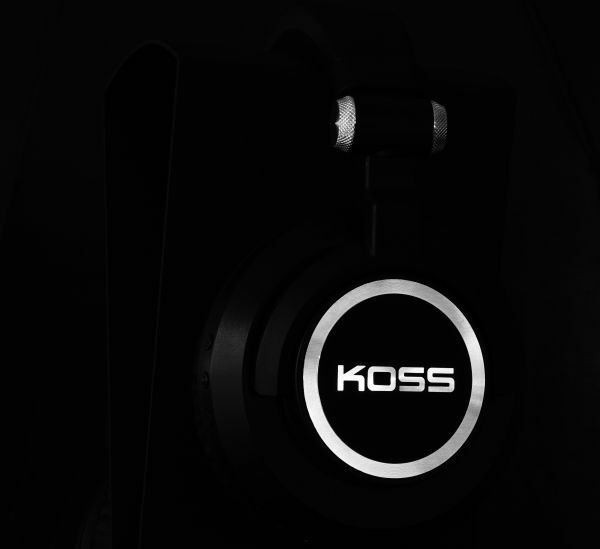 At around 7.2oz ( 204g ) the Koss BT540i is refreshingly light and comfortable. Authentic leather pads combined with supple memory foam offer solid comfort and the lack of clamp pressure is a welcomed bonus. I found it interesting that Koss has opted for a more velour type of headband padding, instead of the leather material like the headphones ear pads utilize. They don’t match in a physical styling, but they work well together. I find the underside of the headband very comfortable and soft, although I do not find it physically conforming to the shape of most human heads. It is more of a half-moon shape that I am not fond of, there is actually over a full inch of empty space between the areas just above my ears to the hinge point on the cups of the headphone. Jeez, this reminds me of an Ultrasone headphone design. I admit to feeling very self-conscious wearing this outside and having people see me wearing headphones that use headbands like this: Small satellite dish design is something that bugs me greatly. But, there is nothing physically wrong with it from a build standpoint; it feels solid enough as far as plastic framing goes. Although, I do naturally worry about the hinges breaking if mishandled or tossed into a bag, as they are made of plastic after all. The headphone cups do rotate, swiveling a fair degree from left to right as well as collapsing a bit to fold up and inward. A shoulder shrug worthy detachable 3.5mm cable is included for use with a standard audio source. I’d prefer a cloth cable, something more protected and durable than this stock cable that feels fairly low quality, but I may be asking for too much at this price point. Koss says that the BT540i is their most advanced headphone to date, using a aptX codec technology, and what is known as PLX40 Dynamic Elements (a type of driver tech that may be proprietary to Koss) which may both responsible for the more linear and smooth sound signature this headphone produces. The headphone comes with a 3.5mm to 3.5mm cable, micro USB charging cable and a hard zipper case. The Koss BT540i pairs wonderfully fast and well with every device used in this review, within a few seconds you should be able to pair the headphone with your source and enjoy a cable free sonic experience. I have to admit, as many others have found, BT LEDs are extremely annoying, constantly blinking a harsh, bright blue. It is an eye soar on most BT enabled devices and a bit of a pet peeve of mine, but it isn’t at all relevant to the sonic experience in the slightest, I simply find blinking lights like this annoying when I see others nearby using their own BT devices. Makes me want to toss something through my glass window…*breathe Mike…breathe. Thankfully, I was ecstatic to find that I had no BT pairing issues what so ever, if you deal with BT often you should know that the odds are great that something is going to fail on you, cut out randomly, pair now but for no reason refuse to pair later. This isn’t the case with the Koss BT540i during the pairing process; thankfully the BT enabling inside the headphone itself is very good and has no connection problems at all throughout each device. This makes my ears smile…as well as the little demon inside me that controls my stress level. 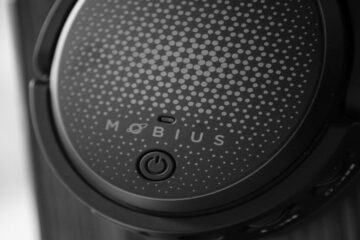 Mr. Koss made good on his promise that this headphone would be user friendly. Excellent call quality! 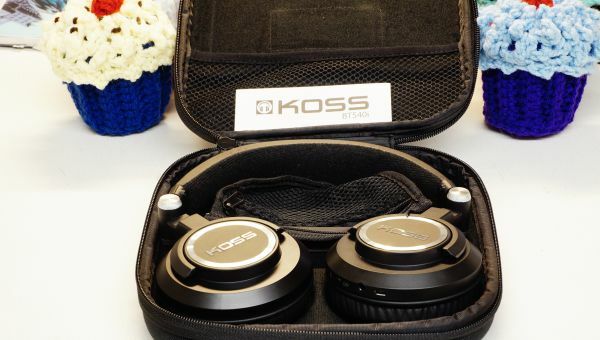 I am very impressed by this; Koss offers dual microphones to help weed out some of the static in the background, hissy voices and gets the job done very nicely. Via the Nokia 900 and iPhone 5s, Bluetooth call enabling worked like a charm, but did cut out for a brief moment upon each call, less than a half second and just enough to hear the audio loss mute but return for the duration of the call. Volume adjustment works as expected and the battery seems to last a solid 8 hours via BT and music play with my PC and the AZiO BT dongle. This is really great when you think about it. Charge time seems to take a few hours at most to fully replace an empty battery, which I’ve clocked at just over 8 hours of nonstop play. NFC (Near Field Communication) paired well with a friend’s loaner Samsung S4. Typically, I’ve always had issues with this and this is the first time I’ve EVER used a BT enabled device that paired without any problems what so ever. It seems like the BT unit inside the headphone has a strong signal and well made. Dude, if you test BT headset with aptX support you might as well have equipment supporting this extension. These will sound different (worse) on your iphone5 or any listed BT source then they would on – say – S5 (or S4) which support aptX. Retest and report back pls. Nice writeup otherwise. Thanks! Tested with some home receivers that have BT output, sounds no different than my S3, as well as my Astell and Kern AK120. I will continue to test this with different BT output devices though upon your request, but I don’t think the clarity is nearly up to par with the new Sony XB950BT which is a review that will be published this week. 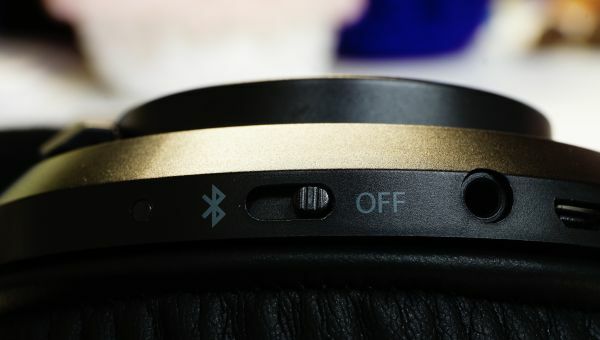 Via the wired connection, the Koss is shoulder shrug worthy at best, as the BT enabled Sony XB950 bested it everywhere, and the wired Sony XB950BT was really unfair to compare to this Koss. Both are roughly the same price.